One of my favorite things to do is bake, in high school, college and in singleness I would always always bake, not that I am married I hardly ever bake..it makes Mike sad. haha But since Christmas is right around the corner we couldn't go without baking! I have been on the hunt for the most delicious sugar cookie receipt that didn't require us to compromise or feel super sick after consumption. And we found one so I thought I would share it with you, ladies! Enjoy! 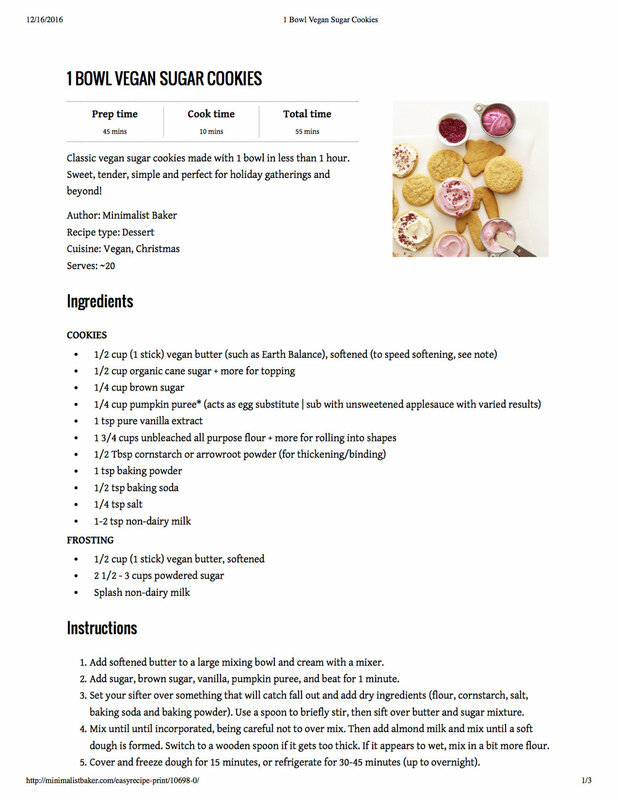 Click on the image for direct link to recipe and more delicious vegan recipes.